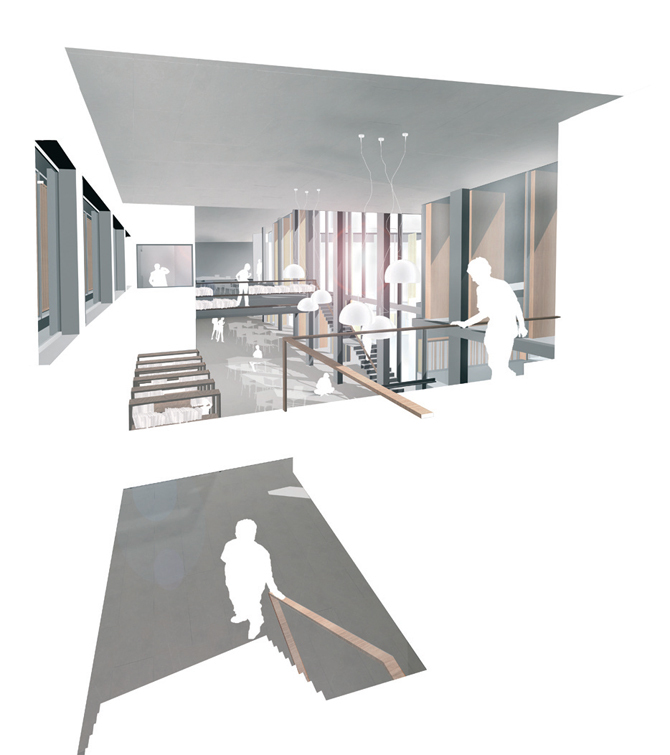 In the proposed project, the platform of the Stockholm Public Library is extended in order to create the connection with the new building. 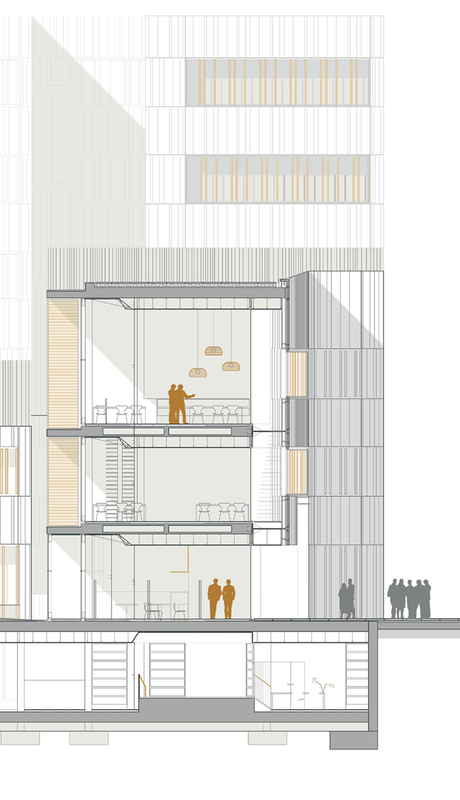 The expansion meets the library with a light structure to preserve the importance of Asplund’s building, while the main portion is placed in the opposite side of the site. 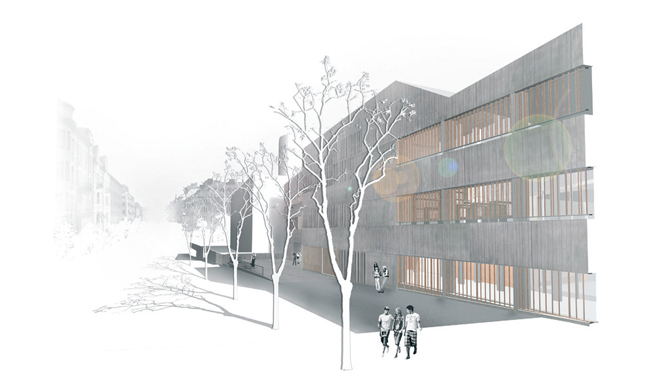 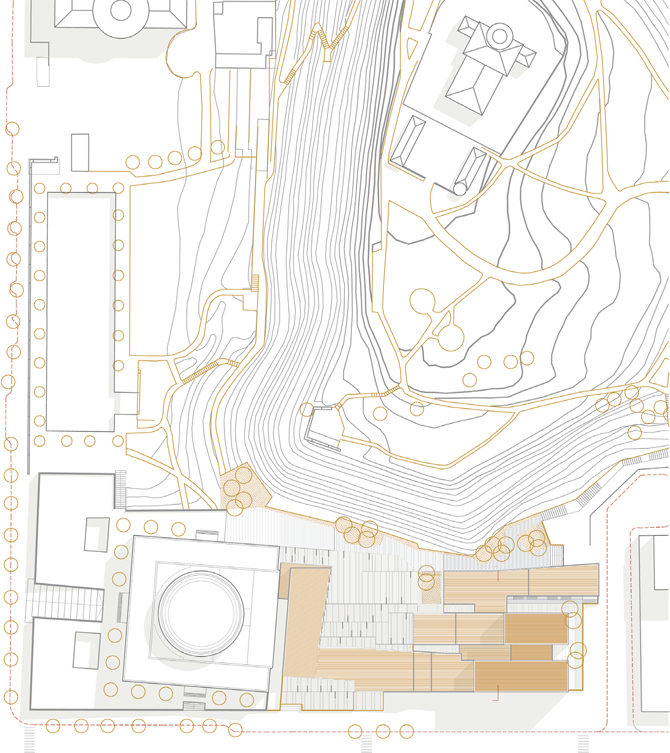 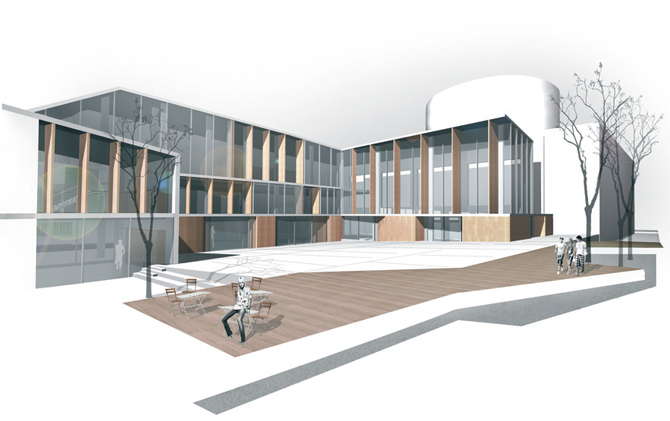 An orthogonal volume is bent in approaching the library to create the link between both buildings. 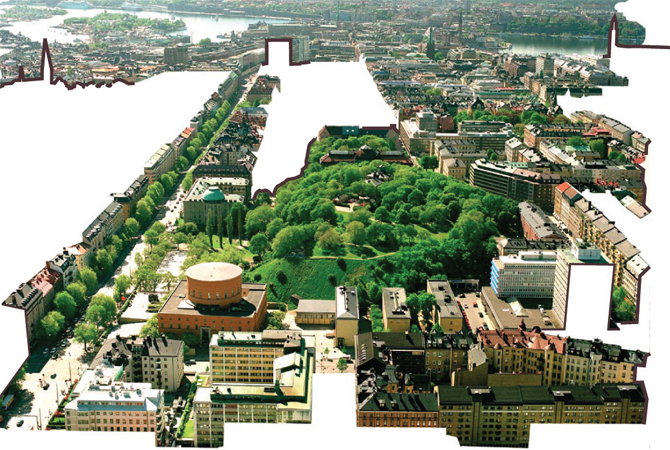 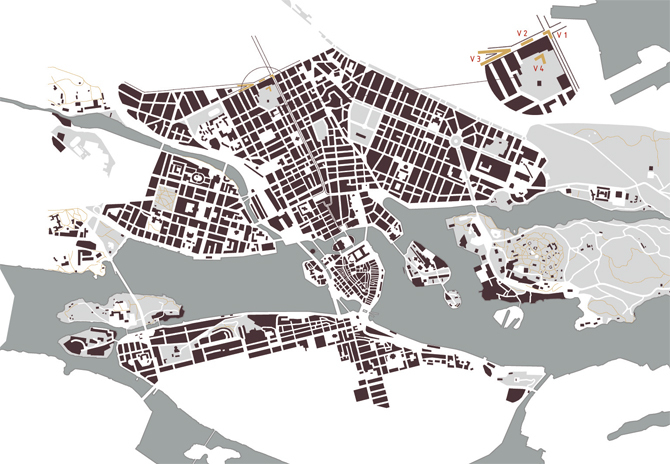 The new library faces the hill of the Stockholm Ridge, generating a new public area and at the same time creating an ordered barrier with the street.